When you compare grass-fed beef to grain-fed beef, it may just seem like beef with a higher price tag. After all, does it really matter what the cow was fed throughout its lifetime? When it comes to your health, the short answer is yes. Not only are there key nutritional differences between grass-fed and grain-fed beef, but there are also differences in the safety of the meat (not to mention the taste). There’s even a significant difference between grass-fed and grass-finished. Let’s take a closer look at how grass-fed beef, grain-fed beef, and grass-finished beef are different, and why this matters to your health. The old adage, “you are what you eat” also applies to what the foods you eat once ate. In other words, the beef you’re eating can only be as nutritious as what the cow was fed. Before we get into the differences in nutrient composition of grass-fed beef and grass-finished beef versus grain-fed beef, it’s important to first understand the different diets each type of cattle are raised on. For the first 6 months or so, all cows start out with a similar diet: their mother’s milk and the greenery in their environment. Once they’re weaned off milk, grass-fed and grass-finished cows — also known as “pasture raised” cows — will continue to roam green fields, where they’ll enjoy chowing down on lush plants, shrubs, and the occasional bug for the remainder of their lives. Since grass and plants can provide all of the nutrients a healthy cow needs, the result is highly nutritious beef. In fact, research shows that grass-fed cows are higher in conjugated linolenic acid (CLA), a fatty acid that’s been shown to have anti-carcinogenic effects and promote fat loss. 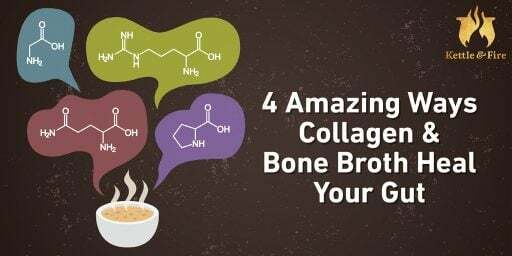 They also contain 2 to 4 times more omega 3 essential fatty acids than grain-fed cows, which is important because we get far less omega 3 fatty acids in our diets today than what our bodies actually need (1)(2)(3). Omega 3’s — which are found in unprocessed oils, wild fish, grass-fed beef, and nuts and seeds — play a critical role in hormonal health, cognitive function, growth and development, healthy skin, and keeping the body’s anti-inflammatory response in check. Animals that are fed green grass also store more vitamin A in their livers (4). This explains why grass-fed beef is higher in beta carotene — the precursor to vitamin A. Grass-fed beef is also shown to be richer in vitamin E, B vitamins, magnesium, and potassium. Now, let’s move on to how grain-fed cows are raised, and how a grain-fed diet alters the nutrient composition of the beef you eat. Grain-fed cows — also known as “conventionally raised” cows — are moved to a feedlot once they’re weaned from their mother’s milk at approximately 8 months. It’s in these lots that they’re fed grains, corn, and soy to fatten them up and produce a higher yield of beef. The cattle are also confined in very small spaces— not even enough space to move, which puts the animal under distress. High stress levels can also lead to fatter animals. This is because cortisol is a fat storage hormone that’s part of the ‘fight or flight’, or stress response. Since the cow has been removed from its natural environment and experienced a dramatic change in living conditions and diet, there will undoubtedly be a certain level of stress endured by the cow, which results in elevated cortisol levels. When cortisol levels are consistently elevated, the body is more likely to store fat as a protective mechanism (5). Alternatively, when grass-fed cows graze in fields, they’re getting exercise, which naturally results in leaner beef, as well as an animal that’s not stressed out. Now, this isn’t all to say that grain-fed beef doesn’t have nutritional value. 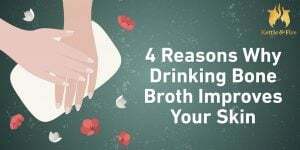 It still contains several essential nutrients, such as protein, B vitamins, iron, and zinc. But in addition to being lower in minerals, CLA, and promoting a poor omega 3:6 ratio, grain-fed beef also contains 4 times more saturated fat per 3 ounce serving. There’s a major difference between grass-fed and grass-finished cows that many people don’t know about. Grass-fed beef is marketed as the healthiest choice for meat, but the term ‘grass-fed’ is unregulated, and accompanied by a major grey area. You see, the term grass-fed doesn’t necessarily mean the cow was fed a grass diet their entire lives. It means they were started on a grass-fed diet, and may have been fed grains for the remainder of their lives, which is actually grass-fed, grain-finished beef. In other words, as long as the cow was fed greenery at one point in its life, it can be labelled as grass-fed beef. On the other hand, grass-finished beef means the cow was fed grass — and nothing but grass and plants — for the duration of its life. So while grass-fed cows will still contain omega 3 essential fatty acids, CLA, and other beneficial nutrients, grass-finished beef is ultimately the most nutrient dense beef you can buy, and ideally what to look for when you purchase beef. Are Growth Hormones Safe or Not? There’s one other ingredient that goes into the feed of grain-fed cows: hormones. Synthetic estrogen, testosterone and growth hormones are another way to help cows grow 15% larger, faster. Going back to our first point, “you are what you eat”, when we eat beef that has been treated with hormones, we’re also ingesting those hormones. While there’s limited research to show the impact that synthetic hormones — specifically sourced from grain-fed meat — have on our health, it may not be ideal for those who are already susceptible to certain cancers or are suffering from hormonal imbalances to be ingesting them (6)(7). A large percentage of grain-fed cattle are treated with hormones. However, it’s possible to find hormone-free conventionally raised beef. Grass-fed beef are generally not exposed to hormones in their lifetime. Think it’s common for Americans to take antibiotics? Some sources suggest over 70% of the antibiotics in the US are given to animals. In fact, over 30 million pounds of antibiotics were given to American livestock in 2011. The danger of consuming antibiotics through meat is becoming more prevalent, as antibiotic use in livestock has recently been discovered as a leading cause of the rise in antimicrobial-resistant infections — leading to antibiotic resistance and increased mortality rates (8). There’s no pretty way to say this: the feedlots grain-fed cows live in aren’t a sanitary environment. In fact, the ground the cattle stands on is basically a mix of bacteria, mud, dirt, and feces. These living conditions make the cows more susceptible to illness and disease, which is why they’re commonly treated with antibiotics. 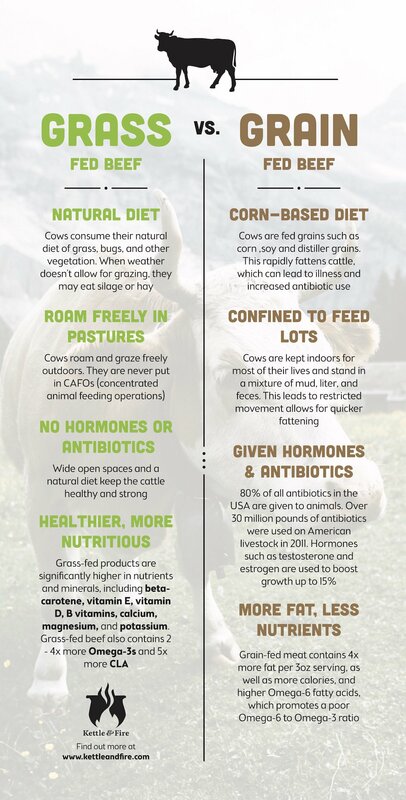 While there’s no guarantee that a grass-fed cow won’t get sick and need a round of antibiotics in their lifetime, the living conditions of a pasture are far less of a threat to the cow’s health than a feedlot. That’s not to mention the greater amount of immune-boosting nutrients in a grass-fed diet versus a grain-fed diet — in which case, fewer (if any) antibiotics should be needed. The difference in taste between grass-fed beef and grain-fed beef is up for debate. Some argue that grass-fed beef tastes, well, grassier — while grain-fed beef has a richer taste because it’s higher in saturated fat. Others don’t notice a difference at all. As you can see, all types of beef do contain nutrients that benefit your health. However, if we were to rank grass-fed versus grain-fed versus grass-finished in order of health benefits, grass-finished would be the most nutrient-dense choice, followed by grass-fed, and grain-fed.